Ken and Patty Lindahl are “famous” in the K-12 performing arts world… and while their names may not be in lights, they are prominently displayed at Brookwood High School which recently dedicated its theater in their honor. The Ken and Patty Lindahl Performing Arts Center recognizes the duo’s 30 years of service as the school’s theatre directors prior to their retirement. 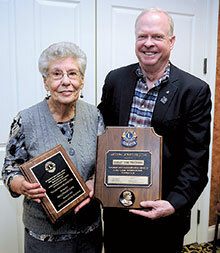 For more than 40 years, people from Snellville and the surrounding area have converged on T.W. Briscoe Park for the Snellville Days Festival! This year is no different. May 4 & 5, crowds of more than 30,000 are expected to pack the two-day arts and crafts festival to enjoy tons of hand-made arts and crafts in over 150 booths as well as the most entertainment the festival has ever offered. Arthritis &Total Joint Specialists is expanding into Gwinnett County with its newest location in Lawrenceville. Dr. Robert Wood joins the medical practice’s team of orthopedic and joint replacement experts and began seeing patients at the new location in January. 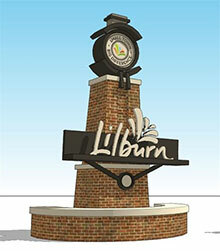 Motorists traveling along Highway 29 will soon have a new gateway monument welcoming them to the City of Lilburn. Construction began last week on a twenty-five foot tall gateway monument being installed at the corner of Pleasant Hill Road and Highway 29.